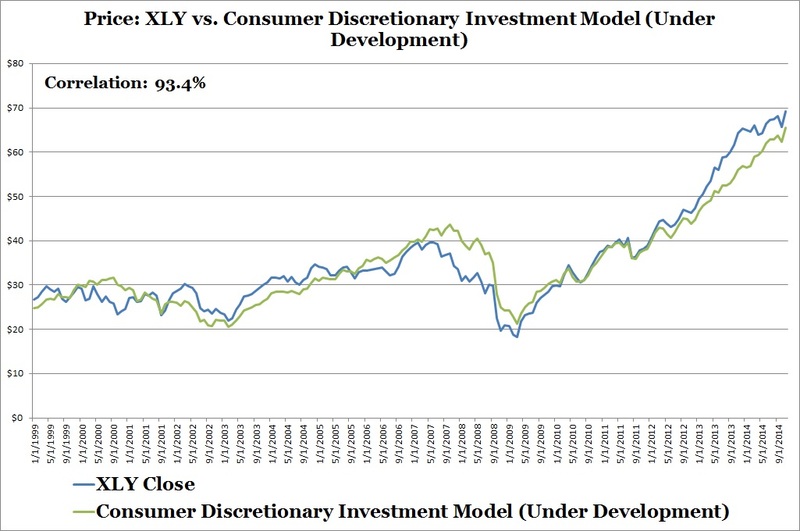 The Consumer Discretionary Industry Investment Model, currently under development, forecasts the price of the SPDR Consumer Discretionary Select ETF (XLY). The Consumer Discretionary Industry is composed of companies involved in film/movie production/distribution, consumer retail, internet retailing, automobiles, leisure products, etc. The Consumer Discretionary Investment Model currently takes into account retail sales and stock market performance and has a 93.4% correlation but has not undergone a backtest. A prototype and a finished version is expected to be completed soon.